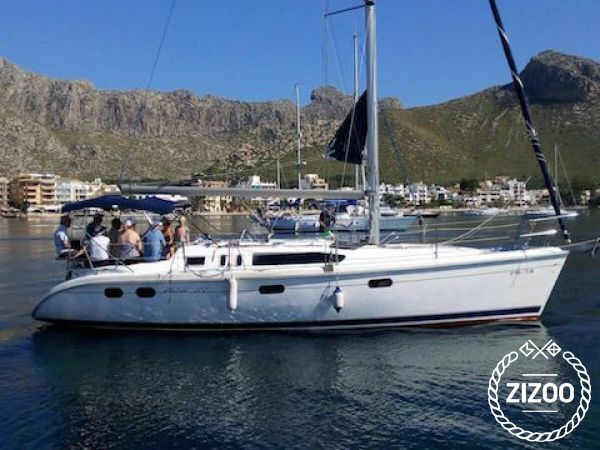 The Hunter 376 is an excellent sailing yacht that is designed to deliver the best sailing experience for both long haul cruising as well as short sailing holidays around the Balearic Islands, Spain. It is a comfortable and spacious yacht with ample room for recreation both indoors as well as out. This boat features a classic design with an innovative use of space. The decks are uncluttered and safe and feature a comfortable sun pad on the fore and plenty of seating in the aft. The interiors are tastefully designed and feature 2 spacious cabins and can accommodate up to 9 passengers on day trips around the Balearic Islands.